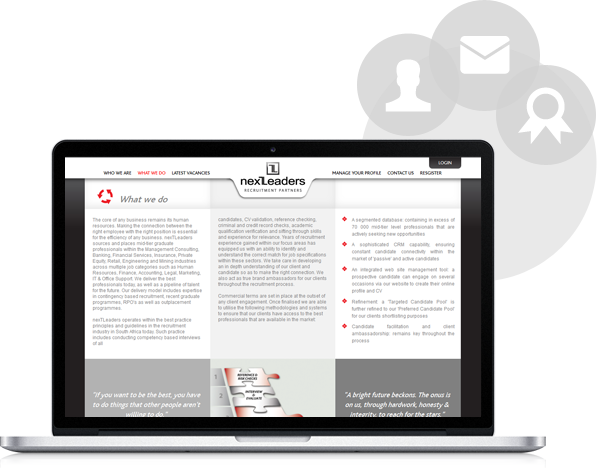 Located South Africa, nexTLeader is an online job portal. 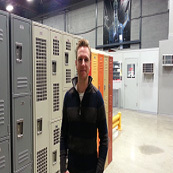 They contacted us to build their website on .Net platform for better control. Our .Net development team created various solutions to intensify their online portal. They build different search options/criteria, given categories and other required solutions that make website user-friendly. Home page a. Who is Future Leaders? i. 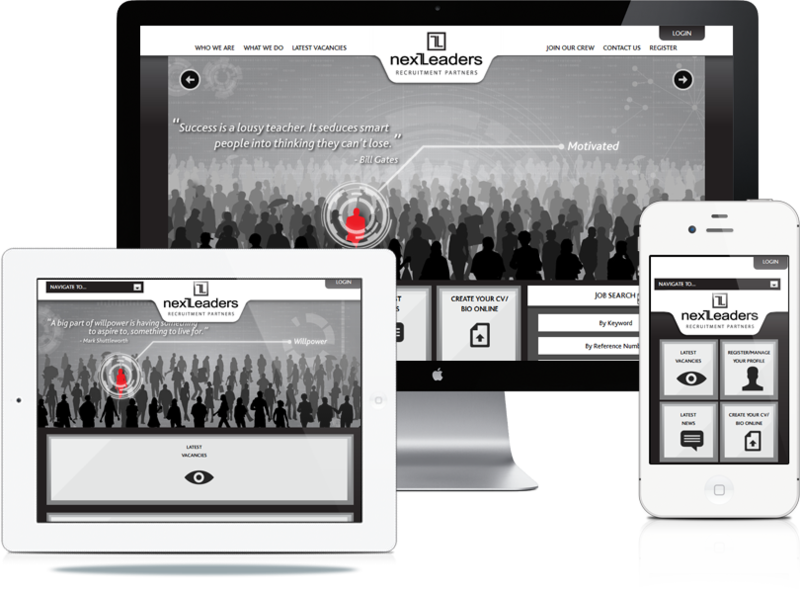 Background – Content for Background of the Future Leaders will be shown here. ii. What we offer? – Content for what we offer will be displayed on this page. iii. Guiding principles and objectives – Content for Guiding principles and objectives will be displayed on this page iv. BEE status – Content and image for BEE certificate will be shown on this screen.